Cancellara in yellow on day one - for the 5th time! 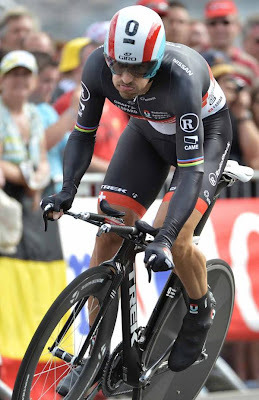 Cancellara was the first rider born in the 1980s to win at the Tour de France and that was in Liège eight years ago when he beat the eventual winner of the 2004 Tour, Lance Armstrong, by two seconds. 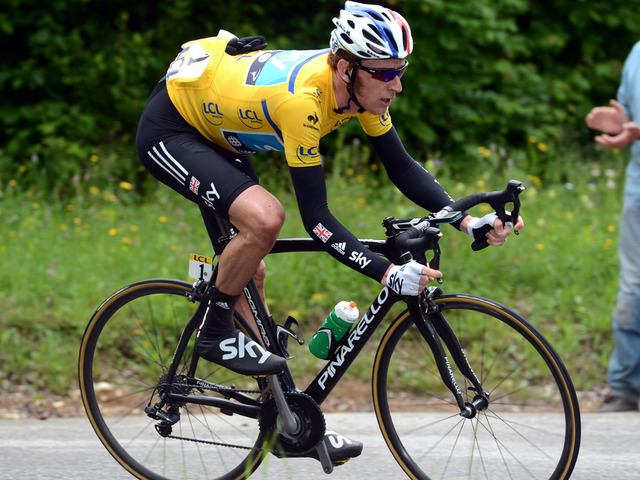 This time around he beat one of the favorites for the title, Bradley Wiggins by seven seconds. Each time the Tour has started on foreign soil since he first started winning at the Tour, Cancellara has won on the opening day. He matches Bernard Hinault's efforts of winning on day one five times. The four-time TT world champion will take the yellow jersey again (matching his efforts from Liege in 2004, London in 2007, Monaco in 2009, Rotterdam in 2010). Immediately after finishing 14th, Vincenzo Nibali (Liquigas-Cannondale) said, "I'm not a specialist but I think I did very well. In the morning I rode and studied the route very carefully (the prologue started at 2pm). I am very satisfied with my test." 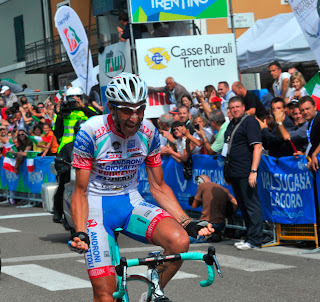 Michele Scarponi finished 129th (of 198 riders) saying afterwards, "Generally, I suffer in prologues. I imagined that I might lose several seconds to the specialists but my test was still good. If I have to search for where I could have improved I would say that I did not push hard enough in the first two roundabouts when the wind was blowing in a favorable direction and I was not aggressive enough in tackling the curves on the cobblestones." "This stage is no leg breaker, but it still is bumpy enough to dampen the hopes of pure sprinters. In other words, I do not think Cavendish will be among those fighting for the win. I hope I am wrong, but I think he will be dropped before reaching Seraing. The course is less demanding than in 1995, when Bruyneel and Indurain blew the race apart on the road to Liège, but it comes very close to the Ardennes and, at 198 km, the stage distance is nothing to sneeze at. In short, we wanted to preserve the peloton's energy while setting the tone for the rest of the race. We will see..."
Stories for the Italian Cycling Journal about rides, granfondos, touring, having a good time cycling in Italy, Italian cycling history, etc. are always welcome. Contact me at veronaman@gmail.com. There are more than 2,500 stories in this blog. The search feature to the right works best for finding subjects in the blog. There is also a translate button at the bottom so you can translate each page . 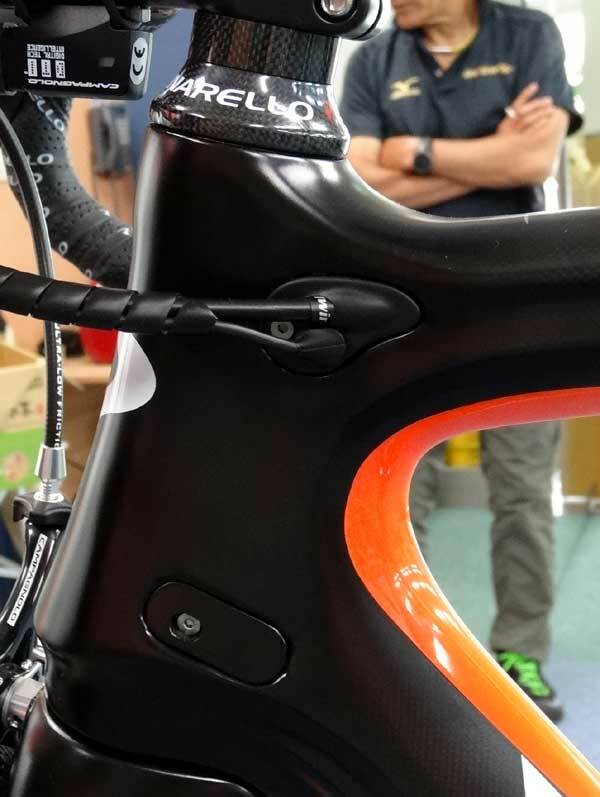 Wilier Triestina will unveil their new road bike creation tomorrow, the Lampre-ISD team will begin riding the new model on Stage 1 from Liège to Seraing. The new "Cento1SR" is said to have been developed with the experience gained from the current Cento1, the lightweight Zero.7 and the Twin Foil TT bike. The L'Equipe story that Team Sky was dropping Pinarello in favor of Specialized is not coming true, at least not until 2014. Team Sky will ride Pinarello bikes next season after agreeing to extend their current sponsorship until the end of 2013. 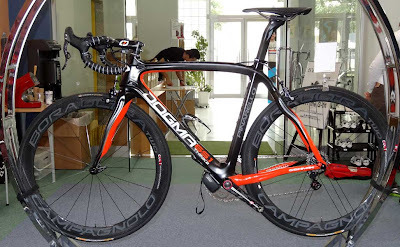 After the story broke, Luciano Fusar Poli, Managing Director for Pinarello, responded to the L'Equipe story saying, "We have a three year contract which ends at the end of 2012 so we’re still the sponsor and the bike supplier. Negotiations are going very well and we have a good relationship with the team and we’re hopeful. There’s no problem, so far. Team Sky is the best team in the peloton at the moment, not only for performance but for the image and the way they’re running the team so many of the big companies could be interested. We’ve had a three-year relationship with the team and the British Cycling Federation, and they’ve been three fantastic years. 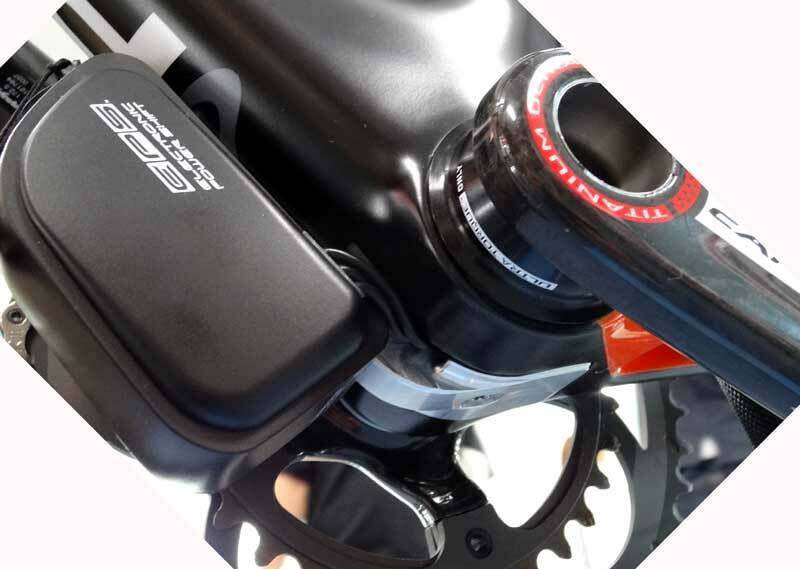 We’ve developed a lot of products with them and we’ve improved our knowledge and given them good products to ride. I think negotiations will be concluded very soon. Legally nothing can be announced soon but we’re negotiating and in a good position." 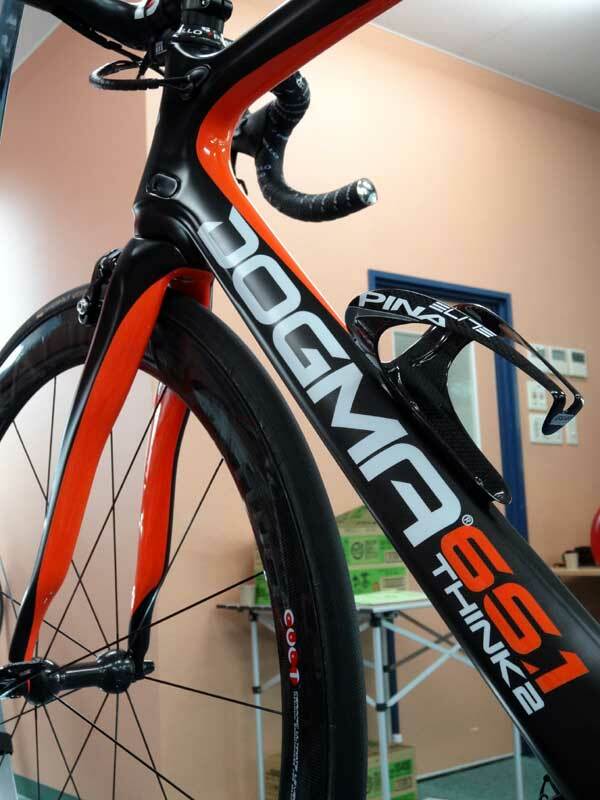 A founding partner of the team from its inaugural season in 2010, Pinarello has provided Team Sky with winning equipment from the outset, including this year’s hugely successful Dogma 2 road race and Graal time trial bikes. The highly-respected company has worked closely with riders and performance staff at Team Sky to develop the team’s bikes - a partnership which to date has yielded 85 victories in 18 countries. Heading into the Tour de France as the number one ranked team in the world, with a potential winner in Bradley Wiggins as well as World Road Race Champion Mark Cavendish, Team Sky has shown a clear progression during each of its three seasons to date. Team Sky’s Head of Operations Carsten Jeppesen said: “Team Sky are really happy to have Pinarello as a partner and look forward to building upon what is already a really strong working relationship. 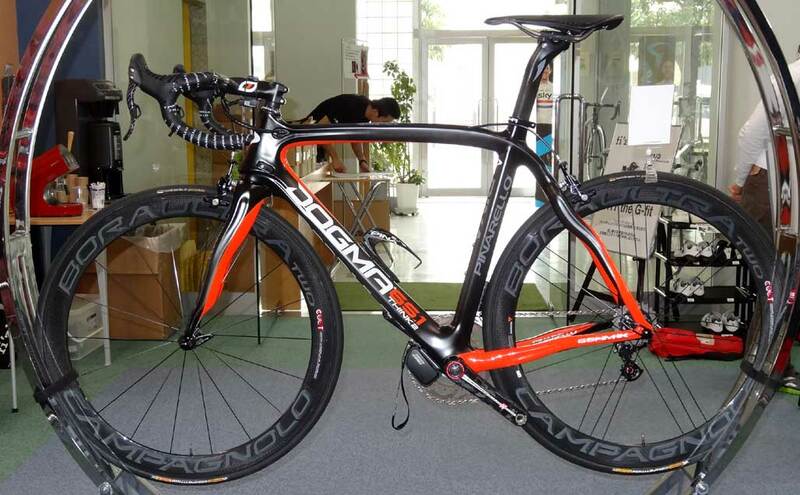 “From a performance perspective we have come a long way in the three years we have been working with Pinarello to date. Their dedication to performance and servicing the team really sets them apart. President of Cicli Pinarello Fausto Pinarello agreed, adding: “Working with Team Sky has been hugely rewarding for Pinarello in the last three years and we are delighted that the team will again use our bikes during the 2013 season. Team Sky will use the Dogma 2 road race bike and the Graal time trial machine at this year’s Tour de France. The 99th edition of the Tour de France gets underway tomorrow with a 6.4km prologue in the "Grand Départ" city of Liège, Belgium. Here at ICJ we'll focus on the Italian teams and riders during the race. The The official start list of the 99th Tour de France was published earlier today, complete with the race numbers of all riders. Yesterday there was a remote chance that one rider may have been replaced between the team presentation and the start of the prologue as David Millar of the Garmin-Sharp team was suffering an illness. LeTour.fr contacted the directeur sportif of the outfit, Allan Peiper, who confirmed that – although he had been vomiting and was unwell for a couple of days – Millar will in fact take the start. Start list here. This new hardcover book of 240 pages is scheduled to be released on October 9, 2012 and can be pre-orderd on www.amazon.com. Written by Lodovico Pignatti Morano with contributions by Antonio Colombo, Felice Gimondi, Barry McGee and Sir Paul Smith. "A beautifully illustrated survey of more than sixty-five years of work by one of the most pioneering and influential names in bicycle design. Since Cino Cinelli began making frames in Italy in the 1940s, Cinelli has set the standards for bicycle and component design. Cinelli has led the evolution of professional cycling and defined the ideal of the classic bicycle: from the classic Supercorsa racing frame to the cutting-edge MASH fixed-gear pursuit bikes ubiquitous on the urban riding scene; from innovations such as the first plastic racing saddles to the controversial Spinaci handlebars, banned from competition; and from timeless components, such as the Alter stem, to iconic meetings of art and design such as Keith Haring’s treatment of the hour record-setting Laser. 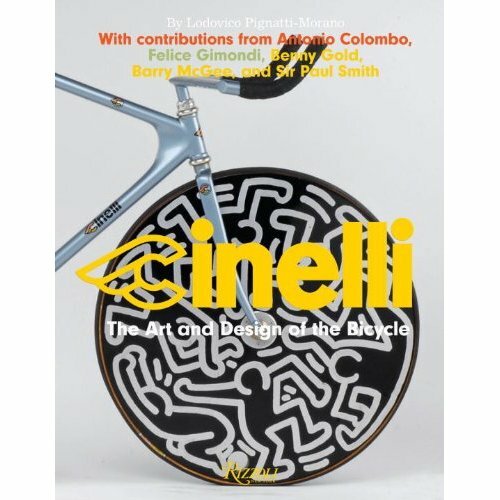 With contributions by legendary riders such as Felice Gimondi and Gilberto Simoni, and by collaborators, from artists like Mike Giant to designers such as San Francisco’s graphic impresario Benny Gold, and featuring a conversation between fashion designer Sir Paul Smith and Cinelli president Antonio Colombo, Cinelli is the definitive look at how beauty and technology can meet in this simplest form of design." The 23rd edition of the GiroDonne, Giro d’Italia Femminile (Women's Giro d'Italia), get's underway tomorrow, June 29th, in Naples. 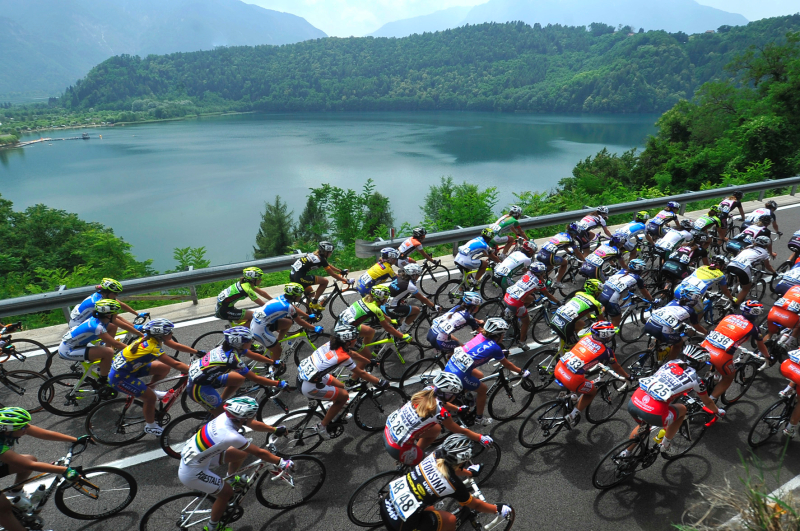 The race, the most important stage race on the women's calendar, will finish in Bergamo after nine stages. The race will cover nearly 1000 km through seven regions, Campania, Lazio, Tuscany, Emilia Romagna, Veneto, Piedmont and Lombardy. A shame that the most important woman's stage race will be in the shadows of the Tour de France. Raisport 2 will have a 50 minute daily program from 7.00 pm to 7.50 pm (Italy), with a replay at approximately 11.00 pm. It will be possible to follow the coverage through Raisport 2 streaming on the web at the same time at www.raisport.rai.it. My thanks to Bill for his report on this year's Sella Ronda Bike Day, an annual event in which the road around the Sella Ronda in the Dolomites is closed to vehicular traffic. 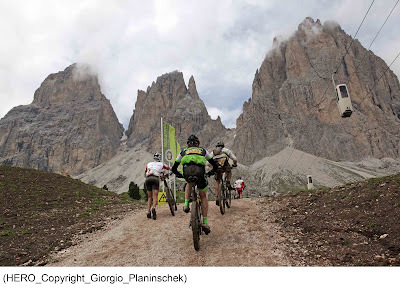 Bill authors the Cycling Dolomiti Friulane blog where you can find his ride reports, including a few more photos of his ride. You can click on the images above to enlarge them. As a reminder, we very much welcome your report. 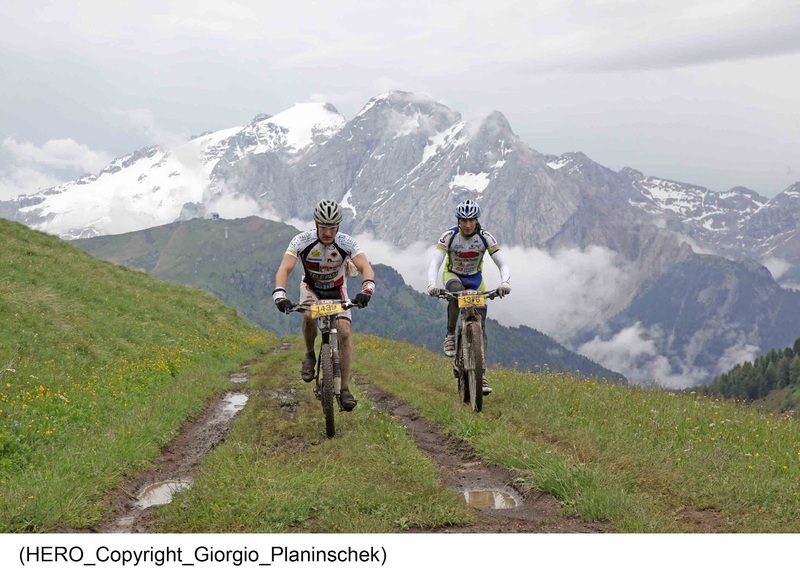 "Sella Ronda is one of the most beautiful bike rides in the world: four passes in the heart of the Dolomiti. Twice each year, once in June and once in September, the authorities close these roads to all cars, trucks and motorcycles. I missed last year's due to weather but later rode the Ronda clockwise by myself. Luckily this year the route is counterclockwise, so I had the chance to climb each of the four passes from the opposite side. They seemed completely different in this direction. I left home around 0500 and drove via Longarons and Forcella Staulanza to Livinallongo. This provided an easy warm-up to Arabba. From there I headed up the deserted switchbacks to Passo Campolongo, an easy climb. Fun descent to Corvara, where a horde of cyclists from Cortina and beyond were getting underway. From Corvara you climb up to Passo di Gardena (2121m) through beautiful meadows flanked by Gruppo del Sella(3152m) on the left and Gruppo del Cir (3025m) on your right . An easy descent and climb from here to Passo Sella (2244m) beneath imposing Sassolungo (3181m). Now comes a fast descent toward Canazei, then you turn left at 1800m and start the climb up Passo Pordoi (2239m). This was more difficult than I had imagined while descending it last year, but still not bad. The descent from Pordoi to Arabba is not to be missed- a series of switchbacks that seems to go on forever. Most fun of the day. I cooled down on the easy ride back to the car at Livinallongo. Fantastic ride, with more bikers in 4 hours than I normally see in 4 months. A blast." "Balanced, experienced and ready to support its leaders: these are the key qualities of the line-up selected by Liquigas-Cannondale for the Tour de France. The race opens on Saturday in Liège with a 6.4 km prologue and finishes in Paris on 22nd July. DS Stefano Zanatta, Mario Scirea and Paolo Slongo will be in charge of the nine green-blue riders. As everyone knows Vincenzo Nibali, Peter Sagan and Ivan Basso have been chosen to lead the Liquigas-Cannondale team. The “Shark” is targeting the general classification, the Slovakian champion is hunting down stage wins and our man from Varese has the role of “director”. They are supported by riders with previous experience of the difficulties posed by the Grande Boucle, such as rouleurs Daniel Oss, Kristijan Koren, and Alessandro Vanotti and the climber Sylwester Szmyd. Federico Canuti and Dominik Nerz are on debut and complete the line-up. "We’ve got a group determined of men for this race who are ready to support their captains’ ambitions," said Zanatta. "The guys know each other well; many of them have followed similar preparation programmes to help things go smoother during the race. We’ll be on the frontline in this Tour de France to support the ambitions of Nibali and Sagan, and we’re aware of the responsibilities awaiting us. We’re aiming for the top of the general classification and will support Vincenzo all the way to the last stage, plus we’ll strive to put Peter in the best possible position to win at least one stage. In his case it’s right to be ambitious but we’ll be mindful of the difficulties and pressures involved in a race like the Tour: the aim is to get a win and anything after that is a bonus. And finally Basso’s role will be essential for Nibali in the tougher stages and for managing the more intense phases of the race. His experience and charisma will be fundamental for helping the team when the pressure hots up." "It's an international mold for Lampre-ISD that will take part in the Tour de France (30 June-22 July): nine blue-fuchsia cyclists are from six Countries (Italy, Slovenia, Germany, Australia and Ukraine-France). These are the nine riders: Grega Bole, Danilo Hondo, Yuriy Krivtsov, Matthew Lloyd, Marco Marzano, Alessandro Petacchi, Michele Scarponi, Simone Stortoni and Davide Viganò. The mix of Ukraine and France is due to Yuriy Krivtsov, who was born in Pervomaisk (Ukraine), but has a French passport. In the staff of general manager Saronni there will be sport directors Fabrizio Bontempi and Maurizio Piovani, technical director Roberto Damiani, doctor Beltemacchi, masseurs Bertolone, Bolzonaro, Borgognoni, Capelli and Napolitano, mechanics Baron, Pengo and Romanò, driver Bozzolo and press office responsibles Appiani and Carlo Saronni. The team will be characterized by two groups, one concerning the fast wheels (Petacchi and Bole could aim for top results in the sprints), the other one ready to be competitive on the climbs, with Scarponi who'll try to be a protagonist in the most demanding stages. Some statistical data: the average age of the team in Tour de France will be 31 years old (the oldest Petacchi, 38 years old; the youngest Bole, 26 years old); the average height os 177 cm (Hondo the tallest, 186 cm; the shorter Stortoni, 169 cm); only Petacchi has won stages in the Tour de France." Forty minutes minutes of incessant rain fell shortly before the start of Südtirol Sellaronda HERO mtb race and Val Gardena was awash as the HERO was about to start. 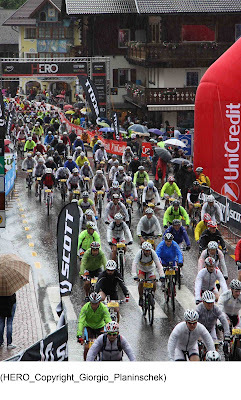 Fortunately the weather soon improved and brighter skies greeted the participants. 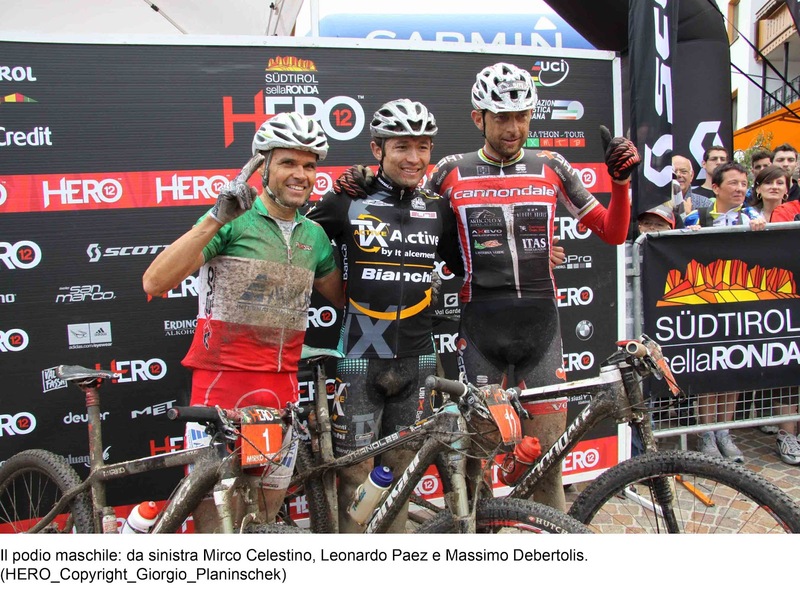 The top step on the podium for the race’s third edition, June 23rd, and the title of Südtirol Sellaronda HERO goes to Leonardo Paez. Paez, of Team Tx Active Bianchi finished the 82 km race (with a difference in altitude of a staggering 4.200 meters!) in a time of 4:33.16. Following him was Mirko Celestino of Team Avion Axevo Mtb Pro Team, which could do nothing against today’s winner, and who crossed the finishing line with 4:36.26. Third place sees Massimo Debertolis of Team Autopolar Volvo Cannondale, recording a time of 4:40.00. The 30 year old Columbian winner, from Cienega, a small town in the Boyaca region of Columbia, commented, "It was a really tough race and I suffered a lot on the uphill stretches but even worse was the cold on the downhill parts, so much so that I thought at some points that I would have to drop out. Fortunately things got a bit easier andIi was able to warm up and stay ahead." There is no doubt that the heroine of the day was Katrin Schwing with her winning time of 6:04.06. Following home the winner of the Trek Domatec Team and finishing in second place 48 seconds behind was the Austrian Verena Krenslehne of the Conway Racing Team with third position going to Barbara Kaltenhause of the Corratec World Team finishing 13 minutes behind the winner. Among the amateurs was Pasquale Bruno, ex-soccer player of Juventus and Lazio; he finished the 82km route in 8:53.45. More jerseys are on auction at Italian ebay to raise funds for UNICEF, supporting their global campaign movement to eliminate the 7.6 million deaths among children under age 5 that occur every year. The auctions have a little more than one day remaining. The 2013 Giro d'Italia will start in Napoli (Naples). The most recent visit to Naples by the Giro was in 1996 when Mario Cipollini won the stage. In 1968 Naples hosted the last stage, a Giro won by Eddy Merckx. Lighter, electronic compatible (also for "old fashioned" cables), press fit BB. Also available in white/blue and red/white. Today, both the mens's and women's TT Italian national champions were crowned in Levico Terme. In the men's TT (Professional/Open) the winner was Dario Cataldo (Omega Pharma-Quickstep). "I am a rider that has been a little overlooked," said Cataldo. "But, I am growing progressively and continuously. I'm not part of the team for the Olympics but I have no argument with CT Bettini. This victory may help bring attention to me for future occasions." The women's TT (Elite) was won by Tatania Guderzo (Gs Fiamme Azzurre). "I am happy for this victory because it brings me back to win in a specialty that I have always liked," said Guderzo. "I wanted to do well because this was the last test before the Giro d’Italia (Femminile) which is my most important goal of the season. Now, I'm leaving for Napoli, certain to arrive in good form to a Giro that will surely be fascinating." Today was the last day of the Settimana Tricolore. After a very difficult race of 254.7 km, in which only 20 riders finished, Franco Pellizotti (Androni Giocattoli-Venezuela) was the winner after 6h 43'12". Finishing 2nd and 3rd were Danilo Di Luca (Acqua&Sapone) at 27" and Moreno Moser (Liquigas-Cannondale) in same time. 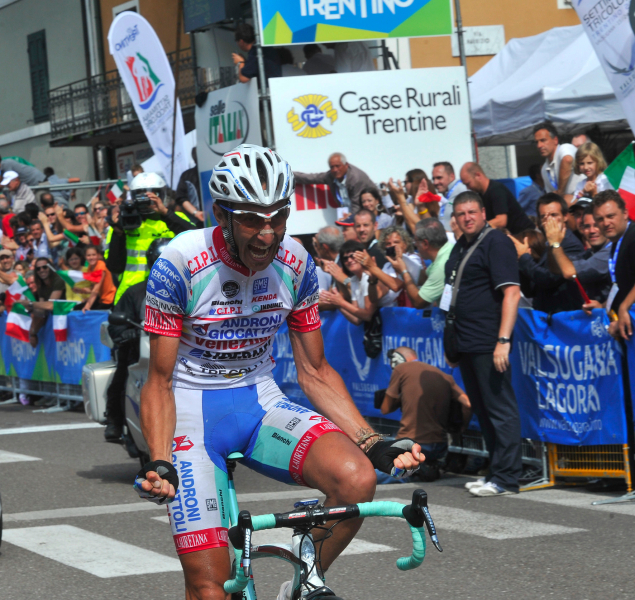 Michele Scarponi was the main protagonist of the race having lead the race, first with 12 attackers and then by himself, for 120 km. Scarponi attacked on Telve climb at 50 km to go and was the solitary leader until the penultimate loop (15 laps of the final circuit of 13.8 km) when he was joined by Vincenzo Nibali, Moser, Giampaolo Caruso, Di Luca and Pellizotti. Pellizotti attacked on the last climb of the Telve and was not able to be caught. "Since my return to racing this was my number one goal," said Pellizotti who just returned to racing on May 16th after a two year ban due to abnormalities in his biological passport. "Honestly, I considered myself a favorite on the eve of the race because I knew I felt good. In the end, especially in the penultimate lap, I realized that I was the one who was strongest and that it was time to act." 2. Danilo Di Luca (Acqua&Sapone) at 27"
5. Vincenzo Nibali (Liquigas-Cannondale) at 2'11"
8. 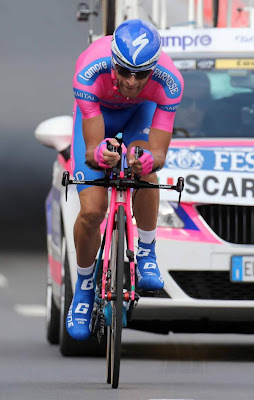 Daniele Ratto (Liquigas-Cannondale) at 3'16"
How to Improve the Giro d'Italia? 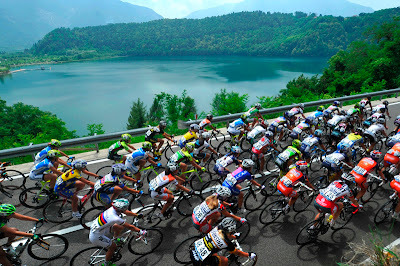 The more days pass, the more I am convinced that the success of the 2012 Giro d’Italia was born of the decision to build an open, transparent and continuous rapport with our stakeholders. The channel of dialogue allows us to know and best interpret the tastes of our fans, and to understand the requirements of riders and teams alike. But this approach also obliges us to take all criticism into consideration and to learn from it so as to better our product. Let’s try to summarize in six parts the points of reflection that the Giro has left us from a sporting point of view and which we will have to keep in mind when planning the 2013 season. For some, the race was open and exciting right up to the final metre of the time trial in Milan. For others, however, it was an overly-tactical race which provided few emotions. Last October 17, Harry Callaghan wrote to us: “with this ridiculous amount of ITT km you'll need a new L'Aquila or the race will be probably boring most of the time." 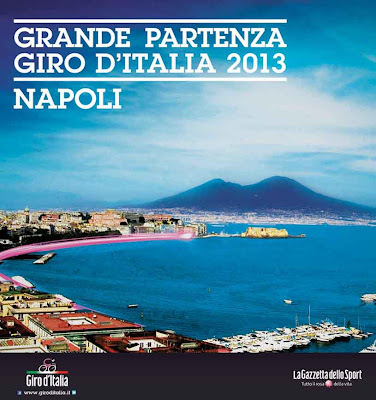 When we presented the Giro, David Millar criticized the decision to insist on very demanding tapponi or queen stages. According to our own Mauro Vegni, long stages with 4 or 5 passes are the very soul of the Giro and of cycling itself because they give champions the chance to produce great exploits through memorable long breaks. Instead, for Millar, a more modern cycling should aim for shorter stages. 100 kilometers: up, down, up again. Fewer tactics and more emotion from the big riders, who give us spettacolo from the beginning to the end of the stage. According to our CEO Giacomo Catano, we should insert a nice stage of strade bianche into every Giro d’Italia. Tuscany, Umbria, the Marche and Piedmont give us many possibilities and we could discover some very evocative routes. Others don’t care for it, however, and believe that stages on dirt roads distort a grand tour. The decision not to award time bonuses in the mountain stages led to some discussion. I like the bonuses because I maintain that they add a bit of spice to the race. Should we go back to having time bonuses on all the stages or should we continue with the 2012 model of awarding bonuses only on some stages? I’ll take the opportunity here to raise a provocative point – during the final debriefing on the Giro, our commercial director Lorenzo Giorgetti proposed allowing teams a pair of “jokers” to play during the race. Such a joker would be played by the team before the start of a stage and would double the time bonuses on offer to them in that particular stage. This decision would oblige teams to “reveal” their own race strategy before the start and would create more interest. The points classification began as a classification rewarding the regularity of the most multi-talented rider, one who was able to win points in every situation of the race. It’s evident in the Giro that the pure sprinters are disadvantaged. I wouldn’t mind transforming this special classification into a classification dedicated to the sprinters. On some occasions, we were criticised for having designed finales that were too technical for sprint finishes. Stefano Allocchio (who within our team represents the point of view of the rider) guarantees that the finishes of the 2012 Giro were designed to respect the security of the athletes, and he maintains that the stage finales with twists and turns ahead of the sprint are part of the history of the Giro and we shouldn’t give up on them. On the other hand, some people would like to see only long straights in the final 1000 metres so as to reduce the risk of crashes, and enjoy the power of the sprinters and their trains in full. In the coming days, through our social media platforms, we will give space to these reflections, and we invite you to follow us and participate in the debate. It’s going to be interesting and some significant recommendations will certainly come out of it, which we will take into the greatest consideration. Obviously, the invitation is open to everyone. To fans, but also to journalists, riders and insiders. Giada Borgato, rider for team Diadora Pasta Zara-Manhattan, is the new women's Italian national road race champion. The 23 year old from the Veneto was a surprise winner. Borgato was part of a group of 12 riders that escaped after 60 km. The group included big names in Italian women's cycling such as Noemi Cantele, Tatiana Guderzo, Eva Lechner, Marta Bastianelli, Fabiana Luperini, and Giorgia Bronzini. Silvia Valsecchi was 2nd, and Marta Bastianelli was 3rd. A month ago Borgato was ready to stop riding, saying, " After five years in the elite class I did not have any results yet. I had a bad period when I was sick and then a big crash, I really wanted to give it all up. I wondered how I could find a job, not having even gone to college so I could race. My family has been instrumental in supporting me, they convinced me to stick it out, and now I can say that it was worth it." 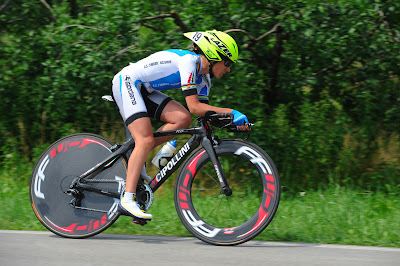 10 VANNUCCI Chiara Verso l'Iride Maccari Spumanti + 5.31. You may have noticed the SARTO Cycles advertisements that began appearing last week in the column on the right. SARTO is the first advertiser in the Italian Cycling Journal since I began more than 5 years ago. There is a reason for that but let me first explain the reason for starting ICJ: a simple desire to share a passion about Italian cycling. For me, part of the passion is the Italian bicycles themselves. I want to bring to your attention the small fifteen-person workshop near Venice (Venezia) that is SARTO Cycles. 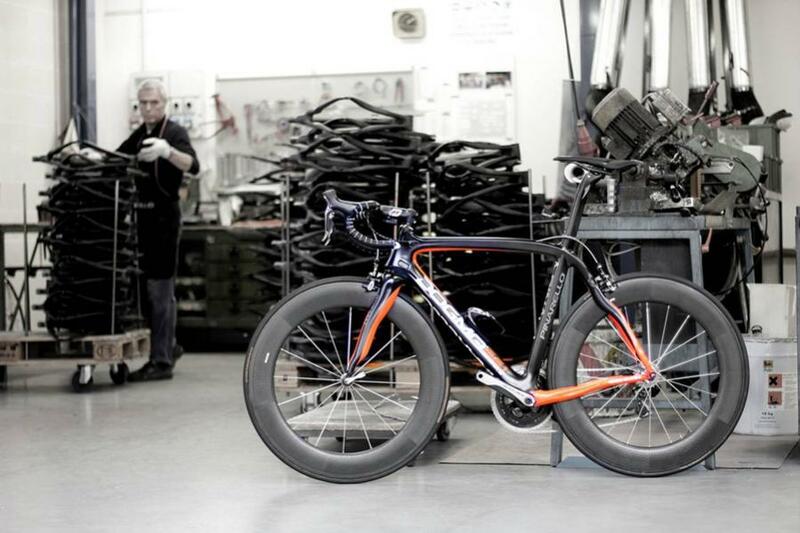 SARTO was founded by Antonio Sarto who traces his framebuilding history back to 1959. Today, the workshop produces 100% handmade frames, made completely in the Veneto. Like a one-of-a-kind garment, a custom frame can have many elements of customization. At SARTO Cycles, where the tube-to-tube construction method is used, custom geometry needs can be met and tubes can be selected for stiffness, shape and weight, and the amount of joint strengthening can be decided upon all in order to create the desired ride characteristic. Of course, it is very nice to have a frame built to your exact specifications. For many, that may not be necessary. To meet this need, SARTO has standard models that are handmade to the same high level of quality as are their custom frames. All frames, custom and standard, have a lifetime warranty. I encourage you to visit www.sartocycles.com (or click on the SARTO image to the right at any time), explore the website carefully, and use their "CONTACT US" button to ask for additional information. Coinciding with the 24th edition of the LA FRANCESCO MOSER this past Sunday, a 73 km annual ride with Francesco Moser, was the opening of the Museo Moser at the family vineyard of Maso Villa Warth in Gardolo (Trento). The museum is dedicated to the entire Moser family,nfrom Trento, which has a long and successful history in professional racing. In 1973, brothers Diego, Aldo, Enzo and Francesco were all on the Filotex professional team. Aldo Moser raced in 16 Giro d'Italia, highest placed as 5th in 1956 and wearing the pink jersey for two days. He was 3rd in the Tour di Suisse in 1962. He won the Grand Prix des Nations in 1959 in the TT, and won several races of that level. Enzo Moser wore the pink jersey in the Giro d'Italia for two days in 1964. Francesco Moser won the Giro d'Italia in 1984, won Paris-Roubaix three consecutive times (1978-1980), won the world road racing championship in San Cristobal, Venezuela in 1977, and in 1984, in Mexico City, Moser broke the famed 1972 hour record of Eddy Merckx. 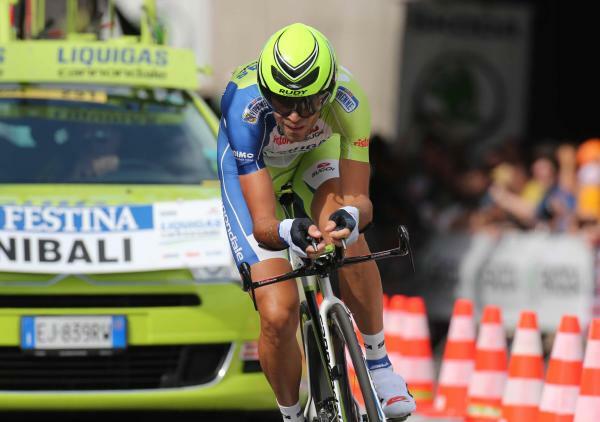 Currently, Moreno Moser is riding for Liquigas-Cannondale. The Moser family property occupies 25 hectares of which 10 are devoted to growing grapes. The central point of the property is the Maso Villa Warth. You can stop by to buy wines and arrangements can be made for groups to tour the vineyards of Maso Villa Warth, followed by a visit to the wine cellar and the barrels in which the wines are made. The visit terminates with a toast in the "Cantinetta". The property also has an agriturismo with six apartments. Having a glass of wine with Francesco Moser would be fun, wouldn't it? Michele Scarponi, the "L'Aquila di Filottrano" (Eagle of Filottrano), has been training on the Passo dello Stelvio for the last 10 days, rekindling an idea he has had for months: to race in the Tour de France this year. "I'd like to take part in Tour de France," said Scarponi. Back in December, Scarponi was considering on passing on the Giro in order to race in the Tour. 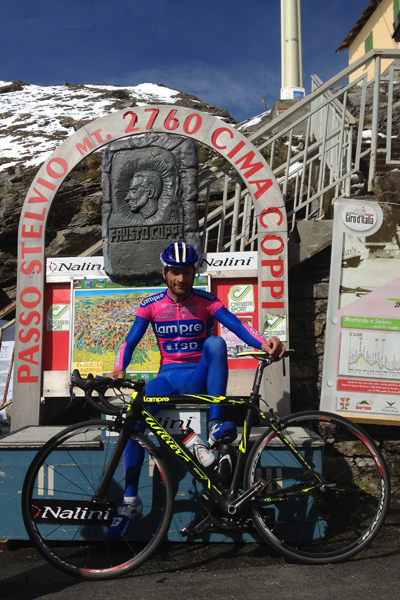 He, and Lampre team manager Giuseppe Saronni, decided that he should enter the Giro. Scarponi finished 4th in GC. Scarponi assesses his best opportunities at the Tour as being able to contest for two or three mountain stage victories. 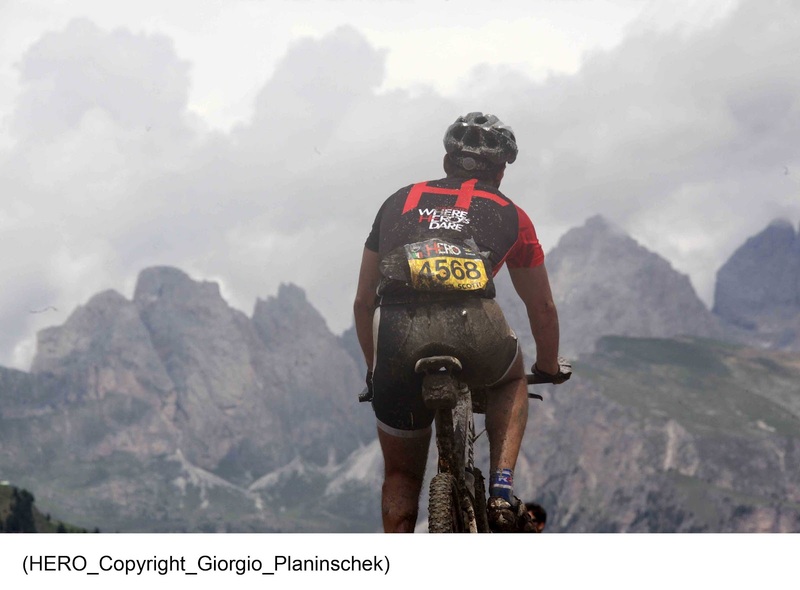 He noted that there are rest days on both Tuesdays of the last two weeks of the race, and that these are both immediately followed by two "high mountain" stages. These stages would be his targets. See the Tour de France stages here. Team Lampre ISD will decide on the final composition of the Tour de France team just after the Italian national championships which conclude on June 24th. There are more Stelvio stories in ICJ, use the custom search button in the right column.